Because one should always start with whites and progress to reds, let’s talk Verdejo. 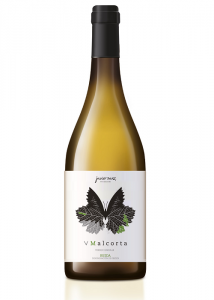 Topping the panel of white wines from Spain, the 2014 Javier Sanz V Malcorta Verdejo earned the “Chairman’s Trophy” with a score of 93 points. The Rueda success didn’t stop there though, as the three runner-up finalists all hailed from Rueda — Cuatro Rayas Vinedos Centenario Verdejo 2014 earning a score of 92 and Flor Innata Verdejo 2014 along with Hacienda Zorita Vega de la Reina Verdejo 2014 both netting a score of 91. In fact, the top 10 rated wines among Spanish whites are all Rueda Verdejo wines. And now, onto Ribera Del Duero and Spanish red wines, with Vega Real Crianza 2009 pulling in a whopping score of 97 points to earn the “Chairman’s Trophy” as the top-rated wine in the category. In second place, Hacienda Abascal Crianza 2010 Arribes del Duero round out the top two with a score of 96 points. It’s not that you needed any convincing that Ribera y Rueda wines were top-notch and among the best that Spain has to offer, but as one wise fella once said: If you don’t know, now you know. See the full results and get more info about the 2015 Ultimate Wine Challenge here. Cuatro Rayas' history as a winery dates back to 1935. 80 years of effort have made Cuatro Rayas the standard in Spanish white wines.Today, Cuatro Rayas produces nearly 20% of the wine bottled in DO Rueda, with an annual production level of 15 million bottles. Our wines, made mainly from the Verdejo grape varietal, lead white wine consumption in Spain. Our wines also have a large influence in foreign markets, with a presence in over 50 countries. Our winery is located in Rueda, at the very estate known as La Pardina. It has been recently built and is fully equipped with modern and versatile wine-making devices, making it easier for us to produce high quality wine. State-of-the-art technologies are available for the production of white wine in our winery, including reception of fruit, pressing, storing and finishing the product. Temperatures and pressure atmospheres are automatically controlled and comprehensively supervised by the ethnologist of that winery. To sum up, the Valdecuevas wine is an upmarket product aimed for our customers. Premium white wine vinified entirely from verdejo grape variety, selected from our own vineyards with more than a century old. A wine with golden yellow colour and greenish undertones. Clean, powerful and fresh on the nose, which is a varietal characteristic. Fruity and herbal with a hint of feneel coming through. Full favoured, powerful but well balanced with a silky texture, hints of white fruit and herbs.